Most of the marginalised Batwa people of Rwanda live in poverty and do not have access to education. As a result, they face double discrimination when it comes to their access to healthcare – despite the government’s recent initiative of implementing special rights for disabled peoples through the creation of administrative institutions dealing with these matters. On the occasion of a mission to the Republic of Rwanda in February 2018, UNPO’s representative observed no significant improvement in the living conditions of Batwa people. This article has been published by Minority Voices. In 2016-2017, African Initiative for Mankind Progress Organisation (AIMPO) conducted out survey on Batwa with disabilities, thanks to the support of Disability Rights Fund (DRF). 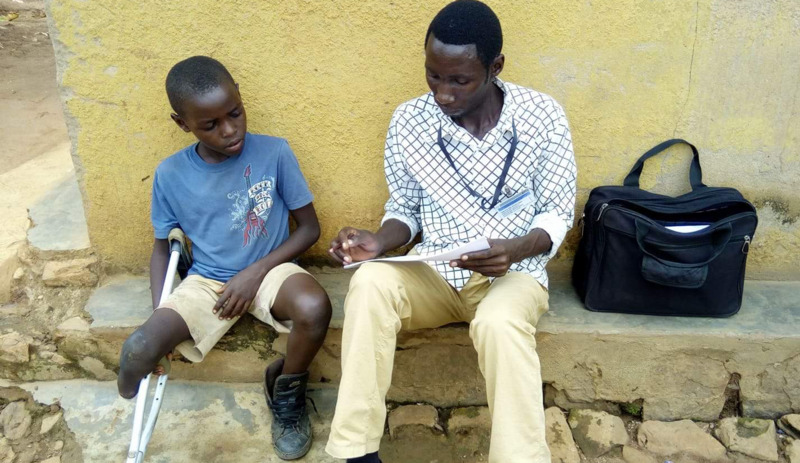 The objective of this baseline survey was to establish the demographic and socioeconomic characteristics of Batwa currently known as ‘Historical Marginalized People’ with disability in Rwanda. The survey was carried out in ten (10) districts of Rwanda. In these districts 335 Batwa people are living with disabilities. To complicate matters, out of ninety seven (97) are children who are suffering mental disorders. Amongst the other issues found is poverty. 93% of Batwa with disabilities are living in poverty and 82% are illiterate. Although the government of Rwanda has advanced the right of disabled people in terms of giving them voice by creating administrative institutions, the Batwa with disabilities still face double marginalisation compared to other disabled people in the country. AIMPO thus came up with recommendations that, there’s need for more deliberate government inclusion through policies that allow their full participation in the socio-economic processes. Climate change adversaries were found to have impacted hard on the Batwa Peoples with Disabilities and thus a need for quick Government intervention to guarantee food security and avert extreme hunger. That there’s need for a concerted effort from both Government, CSO’s and private sector to prioritise people with disability issues and affirmative action for them as an intervention but also as a mitigation to ensure that they enjoy their right to affordable health care and healthy lives like anyone else. Government and other national or international agencies should commit to providing services that are accessible and inclusive of people with disabilities in particular Batwa historically marginalised people who face double marginalisation, including poverty alleviation, education and health programmes to enable them move above the poverty lines as outlined in many poverty related reports.